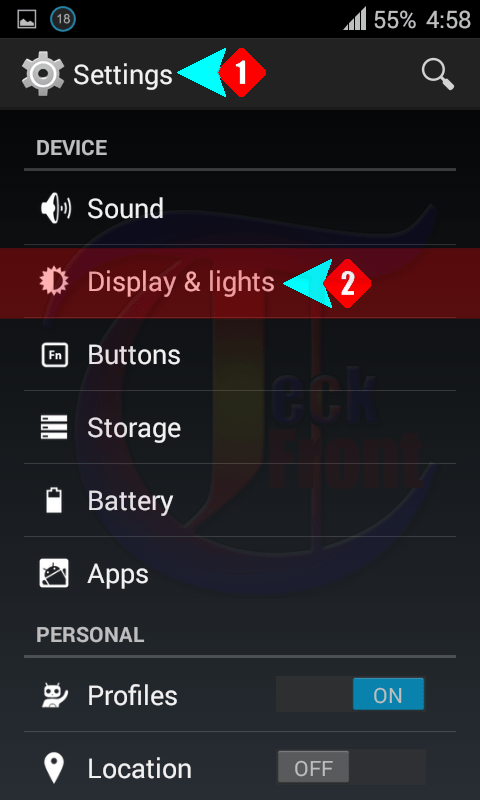 Android 4.4.4 KitKat: How to Activate Clock as Day Dream (Screen Saver)? When the phone is not in use; either docked or charging, some people like it to remain active as screen saver, i.e. showing either clock or something else. 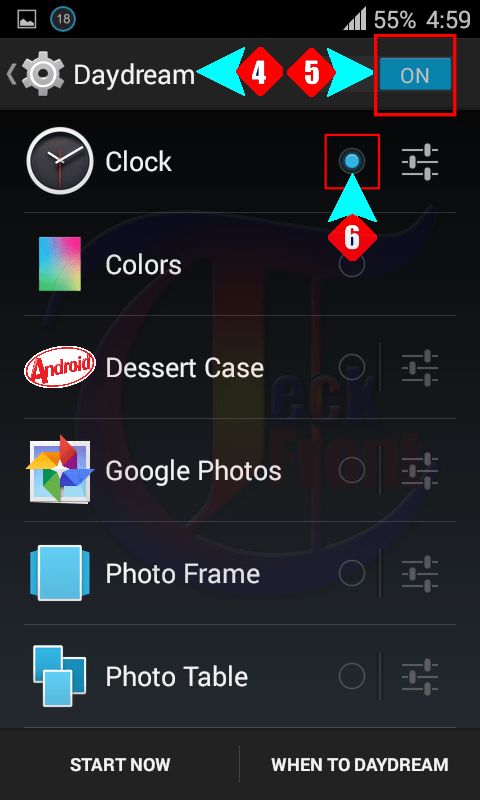 In Android 4.4.4 KitKat, the most favorite day dream (screen saver) is clock. People like it as it would continue to display the clock when not in use, docked or charging. To activate the clock as the day dream, please follow the instructions. Command Line: Settings > DEVICE – Display & Lights > DISPLAY – Day Dream > Day Dream ON/OFF. 1: Tap the ‘Settings’ on the Home screen of your Android 4.4.4 KitKat. 2: Tap the ‘Display & lights’ under the DEVICE. 3: At the ‘Display & lights’ screen, see the ‘Day Dream’ status under the DISPLAY is ‘OFF’. 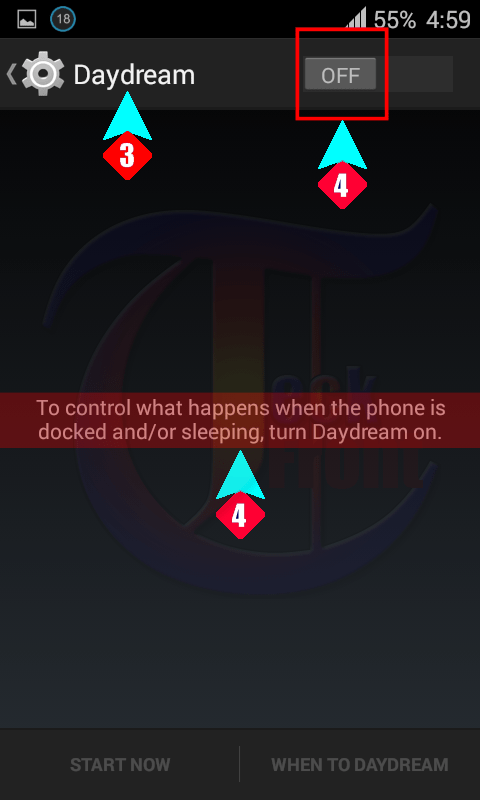 4: Tap the ‘Day Dream’ and see the day dream is switched ‘OFF, i.e. disabled. See also that the screen options are also disabled and are not available. 5: Tap and swipe the switch to ON. See with change in the status of the switch, when it would convert to ON, the color of the ON button would also change to light blue. See also that when you will switch ON the status of Day dream, many options will become available on the day dream screen. 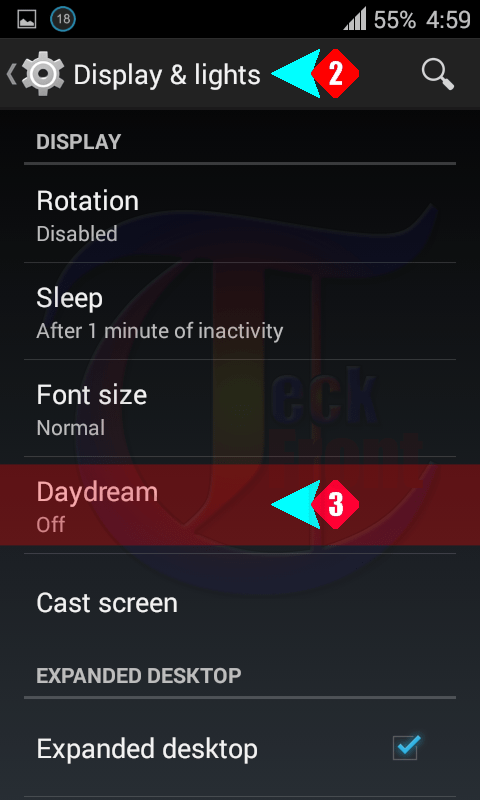 6: See also that the ‘Clock’ option of the day dream screen is selected on the Radio button as clock, i.e. the day dream is opted as the daydream. That’s all!